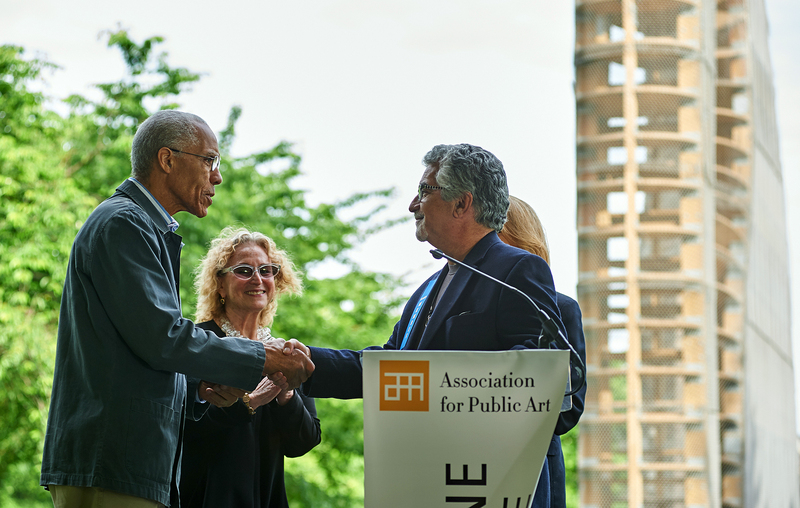 The selection of Puryear brings excitement across the U.S., but especially here in Philadelphia where Puryear has previously installed two works of public art. 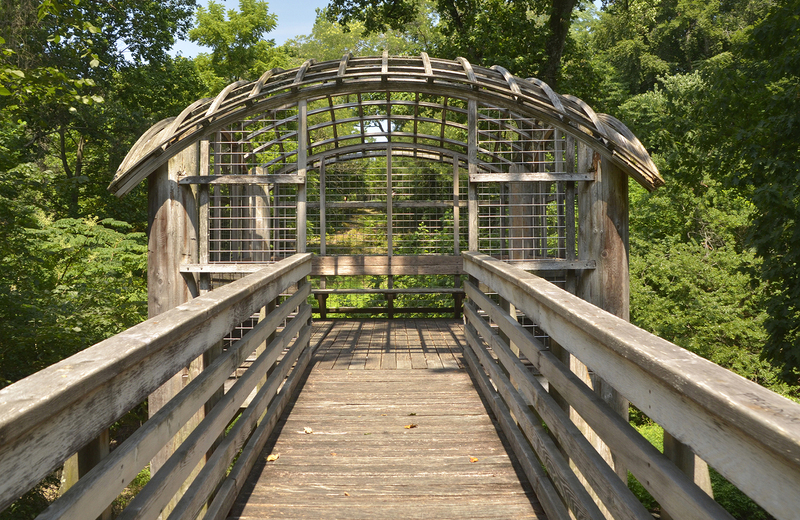 Pavilion in the Trees was commissioned by the Fairmount Park Art Association (now the Association for Public Art, aPA) in 1981, and was installed in 1993, making it one of Puryear’s earliest public works. Tucked away near the Horticulture Center in West Fairmount Park, the amenity was developed for aPA’s Form and Function program. Because of its position high in the trees, Pavilion is a great spot to relax and contemplate the beauty of nature. Another public work by Puryear, Big Bling, was temporarily on view along Philadelphia’s Kelly Drive in 2017. 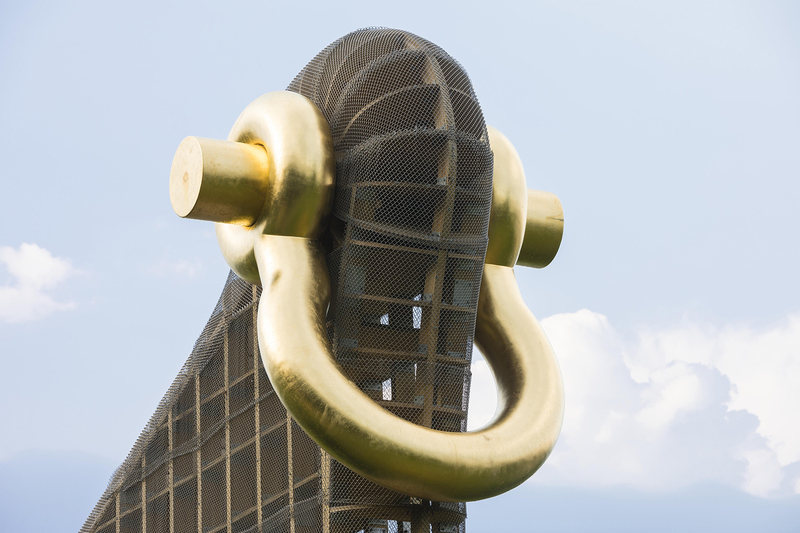 Big Bling is Puryear’s largest temporary outdoor sculpture to date and was presented by aPA and commissioned by Madison Square Park Conservancy, New York. During its six-month stay in Philadelphia, Big Bling was experienced by thousands of joggers, cyclists, rowers, and motorists, many of whom marveled at the colossal, animal-like form with a gold-leafed shackle that had risen along the Schuylkill River. Big Bling will soon head to its third location, MASS MoCA in North Adams, Massachusetts.